IGMAC certification ensures Vitrum’s hermetically sealed insulating glass units meet the association’s high standards in terms of design, manufacture, application, installation and maintenance. 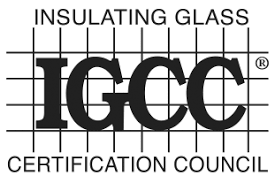 The Insulating Glass Certification Council (IGCC) exists to offer the most credible, efficient, and easy-to-use product certification to end-users and the public. They provide assurance to the public that certified participants conform to the expected requirements for Insulating Glass Unit performance. The Safety Glazing Certification Council (SGCC) is a non-profit corporation that provides for the certification of safety glazing materials. The testing procedures used in SGCC’s program are consistent with those established in ANSI Z97.1, CPSC 16 CFR 1201 and CAN/CGSB 12.1. These specifications call for practical safety tests — to establish that safety glazing materials, if broken, will tend to reduce the risk of injury or death. Vitrum Industries completed a special training program for the processing of Vitro architectural glass products (formerly PPG), including Solarban Low-e glass. Vitrum industries received fabricator training and certification for Guardian’s high-quality coated glass products. As a certified processor and fabricator for Saint-Gobain, Vitrum is the only fabricator in western North America that can offer the Cool-Lite series of solar control products from Saint-Gobain. Through this exclusive certification Vitrum Industries is able to offer our customers Kuraray SentyGlas® Plus.